What horticultural advantages and challenges does your property have? If you’ve just purchased a home, what plants – including trees and shrubs – are in your yard? What should you consider before changing your landscape, and how should you go about it? What should you keep? What could be planted, and where? Want to enjoy all your yard has to offer, without all the work that a yard can demand? We can set up a regular schedule that allows you to determine what you would like done, within the budget range you have in mind. For many of our clients, it's simply a matter of, "This is what I want to spend each month over the summer, just go ahead and do what you do best within that budget." Done! We also can help out during the short term, such as those times when you're on vacation, or unable to do the work yourself, for whatever reason. Do you want a classic French garden, the ultimate food-producing garden, or a combination of the two? What about winterscaping to create an interesting view from your window, regardless of the season? Using the principles of professional landscape design – and by procuring the reliable portfolio of required services – R&D can help you envision and plan your own, personal, outdoor space, and coordinate the project from start to finish. We are happy to share our gardening “secrets” with you while working together on your property, to be a resource you can rely on from time to time, and to recommend reliable learning programs, affiliations and other sources that will help you be a successful, self-reliant gardener. You don’t need a large budget or be an avid gardener to create a personal space that is at once enjoyable and relatively worry-free – as well as less expensive to maintain and helpful to the environment through water conservation and other beneficial practices. 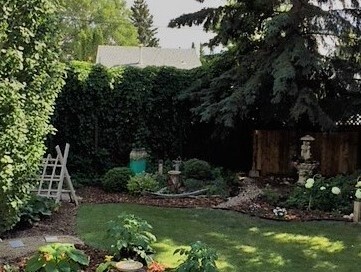 We are one of the few gardening services in Saskatchewan to earn Green Roof Professional accreditation, including installation of living walls and the transformation of spaces once thought to be unsuitable for gardens and green spaces. We will be happy to provide simple solutions, such as pictured here, or advise on much more ambitious green roof or living wall projects. 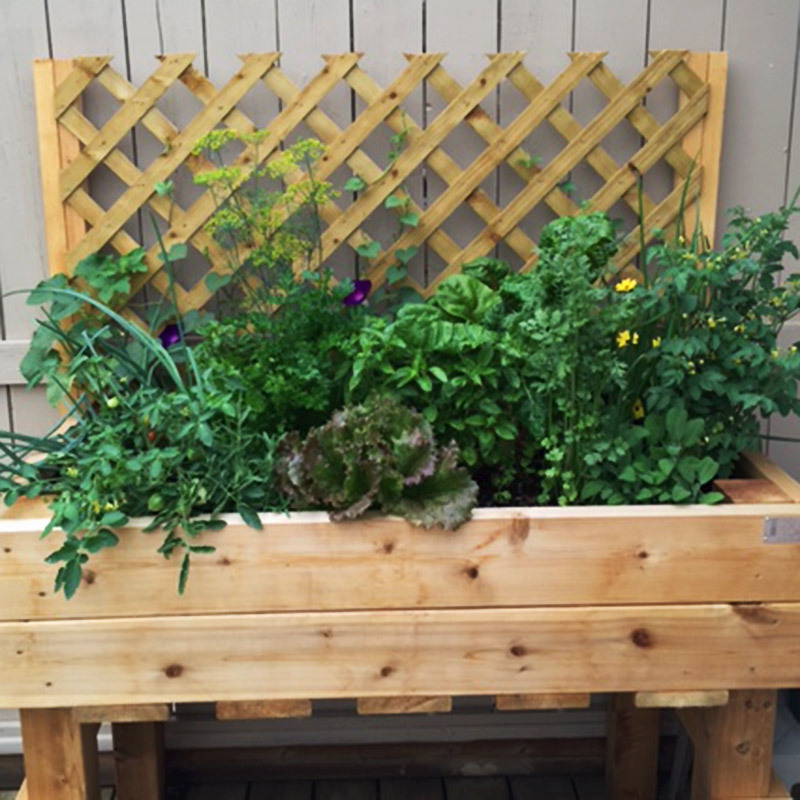 Our bench garden designs have brought people and plants together in special care homes, and enabled seniors to continue to enjoy the physical and mental benefits of growing plants. We can also set up seasonal services to assist those who want to continue to enjoy and take pride in their yards despite physical limitations. It looks great! The colours are just as I imagined… beautiful. Kathleen F.D. We are really happy with all the work you have done and we truly did not have the time. Cathy F.
We really like all the work you both did in the yard.